Instead of wittering on about NaNo this week, I wanted to join those telling as many people as possible about “Authors for the Philippines” who are running an auction until Wednesday, hoping to raise as much money as possible for the people affected by the typhoon. Below, I’ve reblogged one of the lots up for auction, but there are children’s books, young adult and adult fiction, as well as things like having a character named after you in somebody’s next novel. There are literary lunches up for grabs and even an “evening down the pub” event which has already had over 90 bids/comments/people forming “cartels” over it! So, what is National Novel Writing Month, or NaNoWriMo www.nanowrimo.org and what’s it all about? Well, basically it’s a challenge to write a 50,000 word novel, or 50,000 words of a novel, in just 30 days. The rules? There aren’t many. You can’t start writing before November 1st, although, of course, you can plan out what you want to write, if you choose to. You can write your novel in whatever genre/point of view/language you want. You can show your work to people, or you can keep it to yourself, although NaNo’s code of conduct requests no sharing of anything explicit – no frightening the horses! It doesn’t have to be polished – it doesn’t even have to be good. It just has to be 50,000 words or over, by midnight, November 30th. Everyone who completes and has their word count verified by then is a winner. And the prize? Well, out of the 50,100 words I finished with last year, I ended up with a decent 40,000. That’s half a novel to me. How long would it normally have taken me to write that much? A lot more than 30 days, I can tell you! The brainchild of a clever chap called Chris Baty, NaNo began in 1999, in San Francisco, with just 21 people taking part. By 2012, there were over 341,000 participants. Goodness only knows how many there’ll be, this year. Last year I asked myself if I could do it. My debut manuscript was doing the rounds of agents and I was happily nipping back and forth between several works in progress, but, without the discipline of a deadline, not finishing any of them. Maybe having to concentrate on one novel and one novel only for a month would be a good thing. And so last year was my very first NaNo. Having been an expat for over half my life, early November has always been the starting point for getting the Christmas cards written and ready to be posted off around the world. I’d sit with a pile of cards and a look of concentration on my face, as I tried to keep my spidery handwriting as legible as possible. But with an average of 1,667 words per day to write, (which doesn’t sound too much, when you think how many published authors aim for a 2,000 daily word count), that went right out the window. The cards got posted in December and arrived too late! 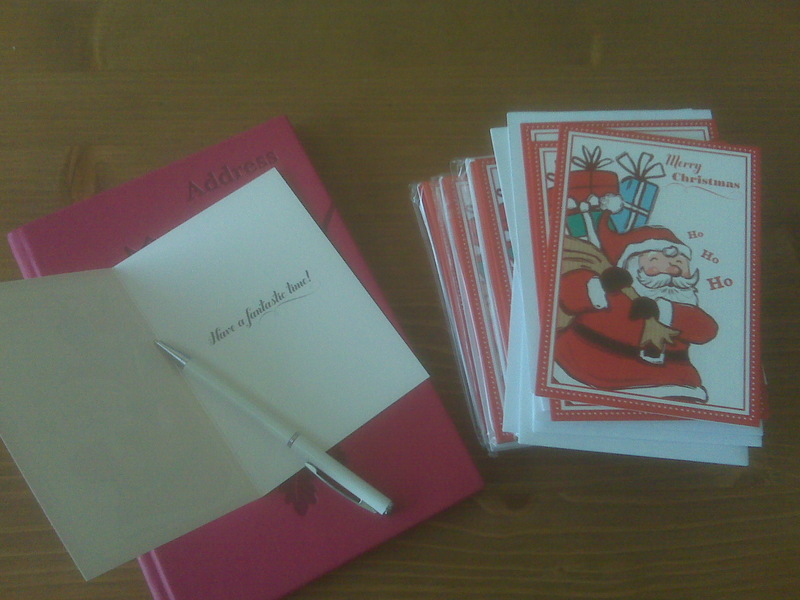 So this year I’ve decided to be prepared and write my Christmas cards in October. I won’t send them just yet, but at least they’ll be ready. Thinking about that made me wonder what preparations others made for NaNo. Sally Quilford, http://quillersplace.wordpress.com/2007/10/17/ask-sally-15-survival-tips-for-nanowrimo has been doing NaNo a lot longer. Author Sally, who until recently wrote a monthly column in Writers’ Forum magazine, as well as an ever-growing number of novels, pocket novels and short stories for both anthologies and magazines, decribes NaNo as the month she can stop trying to be a serious writer and have fun with some real “seat of your pants” writing. A very busy lady, Sally’s preparation for NaNo is about getting into the right state of mind – knowing that whatever you write in the “Mad month of November” is not likely to be publishable, BUT that doesn’t mean it can’t become publishable. And Sally should know, as Midnight Train, one of her My Weekly Pocket Novels, which is now due to be published by large print publisher Ulverscroft, http://www.ulverscroft.com began life as a NaNo. As did two other novels – Mary Daniels’ End Game, and her sci-fi romance, The Thirteenth Passenger, both of which she self published on Amazon Kindle. Morgen Bailey, my blog fairy godmother and another very busy lady, is doing NaNo for the 6th time this year. http://morgenbailey.wordpress.com/nanowrimo Some years she’s planned ahead, some years she hasn’t. But like a lot of NaNowers has found that what you plan to write, often takes off on its own tangents and you end up writing something quite different anyway. So this year (apart from the Christmas cards!) I’m going to take some tips from Sally and Morgen – I’m going to turn off my inner editor, that nagging voice that whispers things like “Too many adjectives!” or “You’re repeating yourself!” and I’m going to have fun with it and just get those words out there. NaNo image courtesy of National Novel Writing Month.